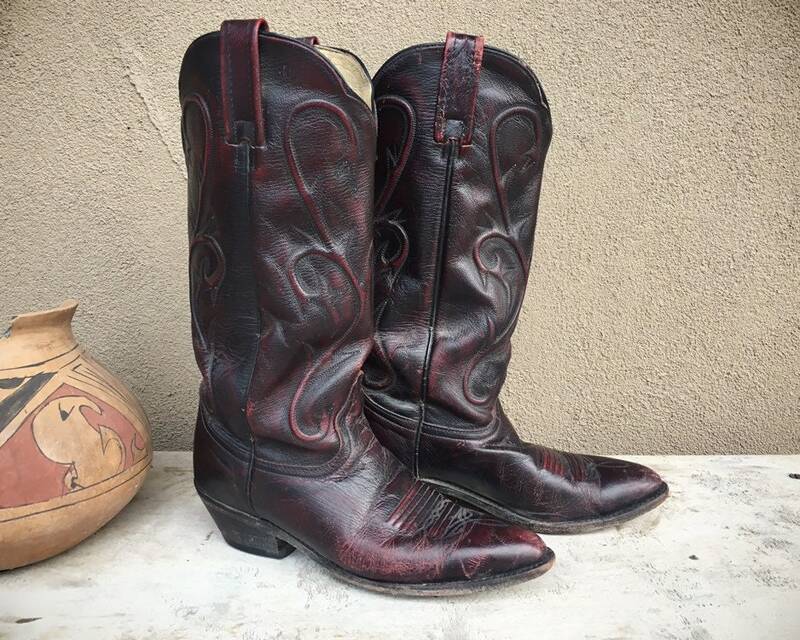 These vintage cowgirl boots are circa 1980s Dan Posts, in a deep burgundy leather with raised or quilted flame designs up the sides. 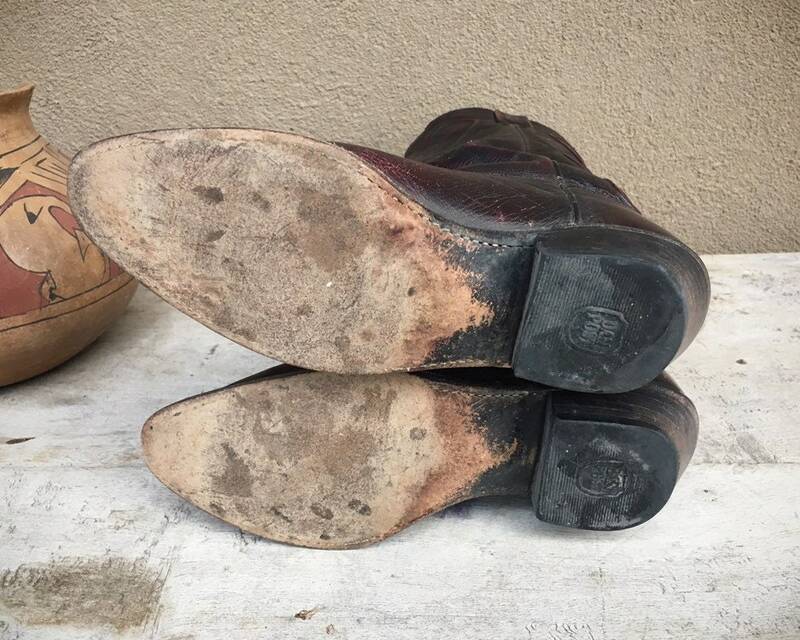 They're well worn, which is why I'm selling them a low price. 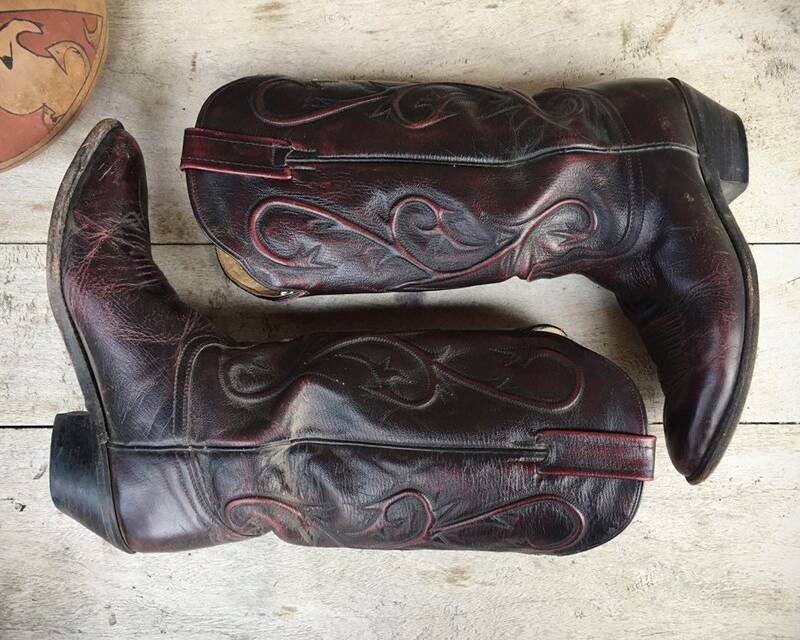 Perfect for those few occasions when you need a boot and you don't want to spend a fortune. 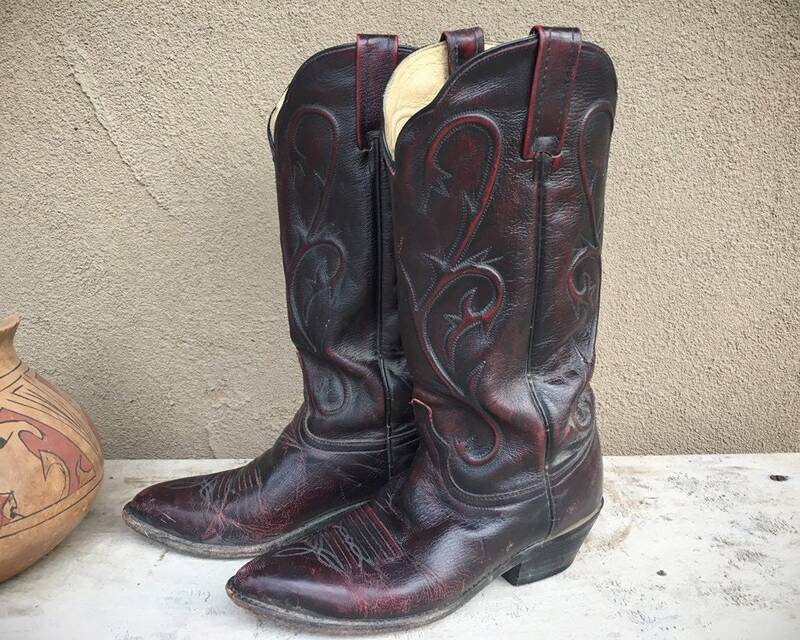 They're a marked Size 7.5 M and they leave a bit of room for my Size 7.5-8 foot, but my foot is pretty narrow, so I'm thinking these are good for a wide 7.5 to 8. 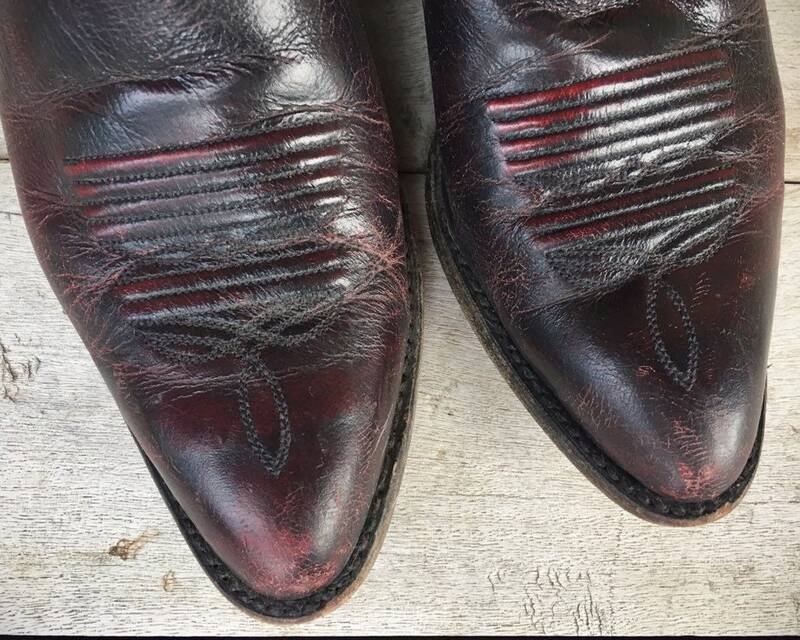 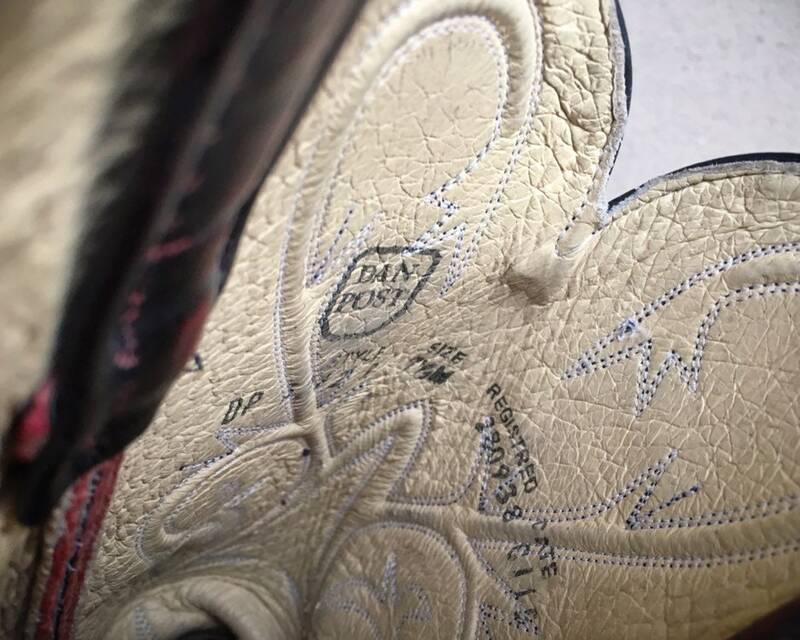 In fact, they're quite wide, so that's the other thing they can offer, besides affordability, is fit for that wider foot that is hard to size for a cowgirl boot. 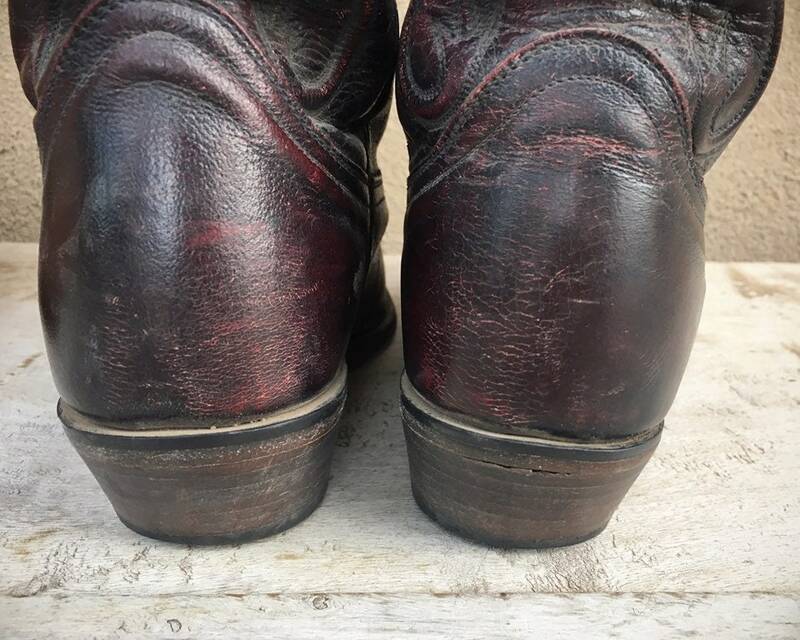 Shaft, down back from top of the heel (not ground) to the top of the leather upper: 9-1/2"
Side seam, from the top of the heel (not ground) to the top of the leather strap: about 12-1/2"
Heel, measured from very back: about 2"